Now three months later, the crisis at the Fukushima nuclear plant in Japan continues to unravel after the publication of startling new data. A new report to the International Atomic Energy Agency reveals that the inner containment vessels for the fuel rods in reactors no 1, 2, and 3 were breached, allowing fuel to accumulate in the outer containment vessels. As a result, Japan’s Nuclear and Industrial Safety Agency raised its estimate of the radioactive materials emitted to between 370,000 and 630,000 terabecquerels, which puts the crisis at level 7, the most severe rating for nuclear accidents. Japanese officials apologized for the nuclear accident, admitting they were unprepared for the crisis. Japanese Prime Minister, Naoto Kan, assured the international community that future reports would be transparent, so that people may regain their confidence in Japan. The nuclear crisis at the Fukushima Daaichi plant occurred when a tsunami struck the facility following a 9.0 earthquake on March 11th, 2011. The Tsunami sent waves that were 14 to 15 metres (45 to 48 feet) above sea level cascading over the nuclear plant’s 5 meter sea wall. The ensuing destruction killed two workers and sent the Fukushima plant into various stages of meltdown. But what are some of the bigger questions that this crisis poses? 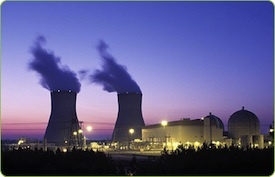 Does it call into question the viability of nuclear as a viable alternative energy for the future? I would argue, yes and no. Sure, nuclear carries with it some grave concerns regarding the potential for meltdown. But the fact of the matter is, meltdown is a very rare occurrence these days with the huge advances made in nuclear technology since Chernobyl. For instance, a recent post highlighted the low death rates for nuclear compared to oil and coal. But what the disaster at Fukushima does tell us is that we have to be aware of where we are locating nuclear plants. Japan lies on the cusp of the Pacific-Philippine-Eurasian triple plate junction; earthquakes can and do happen. Therefore, every effort should be made to prepare for the possibilities of an earthquake, including appropriate structural design and proper disaster response procedures – items which were lacking in the Fukushima crisis. What are your thoughts on nuclear as an alternative source of energy? Should we rule it out entirely or is there room for it amongst alternative energy of the future? Meltdown and other serious loss of fuel integrity can’t happen in a modern passively safe design. “Meltdown” It is also a catch all and not really very instructive when it comes to explaining the modes of failure of a nuclear reactor. For example, there have been fuel melting in reactor accidents which resulted in no abnormal release of radiation. There have also been extremely serious accidents involving no melting that have resulted in death and widespread release of radiation. But Fukushima did teach me something. Firstly was that as scientists that understand the technology, we should not only be pushing for the construction of new nuclear plants, we should be pushing for the closure of obsolete plants we know are less safe. There has been reluctance to do this because of the difficulty of opening new plants because of political resistance. Secondly is that secrets don’t work for potentially dangerous technologies. Unless everyone is publicly accountable, then someone at some point will just lie about safety because it is easy. They also probably don’t believe they will get caught in their lie because the probability of the risk event occurring is so low. But because these plants are so expensive, they will likely have there lives extended again and again, increasing the likelihood that the event will eventually occur. So complete openness I think is the way to go. Problems can be found and pressure brought to bear on fixing them.